2oz clear cello bag filled with Cajun spicy snack mix. 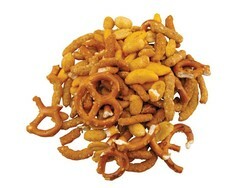 Mix contains chili bits, peanuts, salted sesame sticks and pretzels all seasoned with a Cajun seasoning. 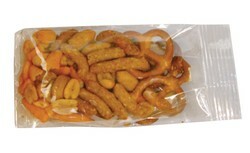 Heat sealed to ensure quality.